People pay very little attention to common eye colors, which explains why I get little to no compliments on my big brown eyes. We tend to be captivated by rare traits or unusual combinations, such as black people with blue eyes. This article will cover the origins of black people with blue eyes, and will list some examples of well-known black celebrities with blue eyes. Can You Be Black and Have Blue Eyes? Yes, you can be black and have blue eyes. Still, blue eyes are very uncommon among black people, especially those with no Caucasian ancestry. Research has found that almost everyone with blue eyes is linked to an ancient genetic mutation, and a small fraction get their blue eye color as a result of a health condition such as ocular albinism, which affects the pigmentation in the eye. What Is the Origin of Black People With Blue Eyes? In short, the origin of black people with blue eyes is no different than the origin of any human's eye color, the deciding factor being genetics. Research argues that, at one point in time far in the past, everyone on the planet had brown eyes. The first light-eyed human emerged only about 10,000 years ago, says Professor Hans Eiberg and his team of Danish scientists from the University of Copenhagen. In their study, Eiberg and his team recruited 800 blue-eyed men and women across different countries. They studied the genes that coded blue eyes in all of these individuals. They were able to conclude that all blue-eyed people have the exact same DNA sequence to account for their blue eyes. They also found that this DNA sequence contains an ancient genetic mutation which presumably occurred 10,000 years ago around South-Eastern Europe. In other words, blue-eyed celebrities Matt Damon and Elijah Wood are your distant cousins if you have blue eyes. Everyone with blue eyes is related in a distant way. 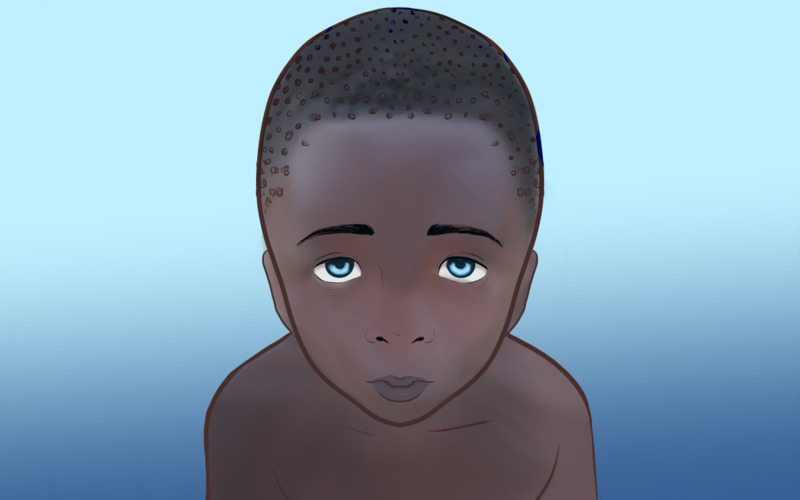 Black people are affected by this genetic mutation in the same way any other human is, but because the mutation originated in Europe, it is rare to see a black baby born with blue eyes. We will explore this concept more in the sections below. Another, but less common, reason why a black baby may be born with blue eyes is if it has ocular albinism or waardenburg syndrome. People with blue eyes are affected by a genetic mutation that turns off their ability to produce brown eyes. Where Did the Blue Eye Mutation Come From? The mutation that gave rise to blue eyes altered the OCA2 gene, a gene that codes for the production of the brown pigment (melanin) in our eyes. "Originally, we all had brown eyes," says Professor Hans Eiberg from the University of Copenhagen's Department of Cellular and Molecular Medicine. 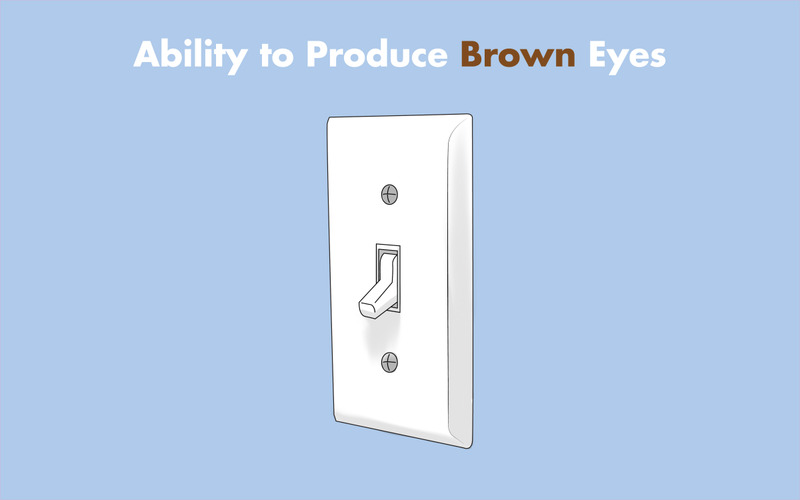 "But a genetic mutation affecting the OCA2 gene in our chromosomes resulted in the creation of a switch, which literally turned off the ability to produce brown eyes." The mutation can be compared to an error in the recipe to create brown eyes, in which the amount of melanin is altered. The result is very little melanin production in the iris of the eyes, and the low melanin concentration, being insufficient to produce brown eyes, produces blue eyes2. For 10,000 years, the blue-eye gene has been passed on from parents to offspring and has spread to different geographical regions. A descendant often has blue eyes if he or she inherited the right set of genes from both parents, and it is believed that almost every blue-eyed person on earth today inherited the same mutation from the same source. A tiny fraction of blue eyes are caused by health conditions such as waardenburg syndrome and ocular albinism. 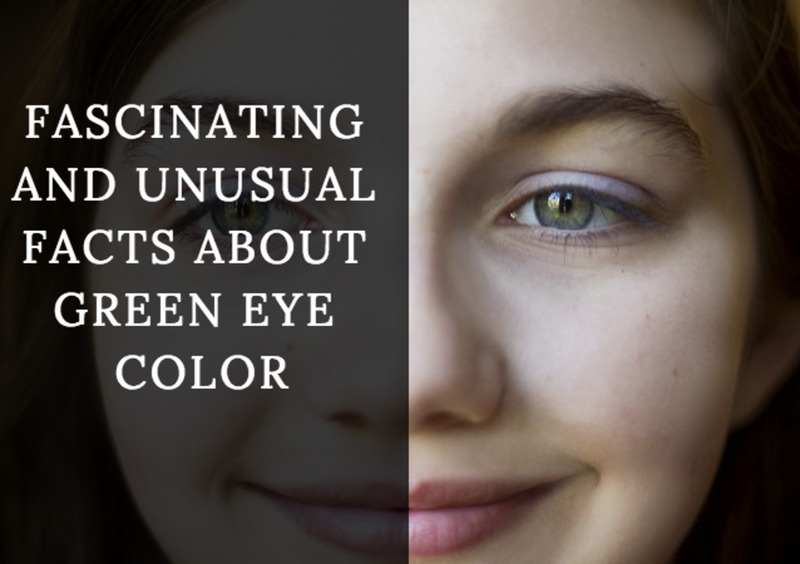 These conditions are characterized by pigmentation problems, and can affect as many as six different genes responsible for eye color. These health conditions impact the growth and development of pigment-producing cells, and can potentially lead to a much lower pigment concentration than in the case of the OCA2 mutation, producing brighter (almost white) blue eyes. Apart from pigmentation defect, waardenburg syndrome is associated with congenital hearing loss and heterochomria. Ocular albinism, just like other forms of albinism, has been linked to severe ocular defects including high sensitivity to light and involuntary eye movements. Why Are Most Blue-Eyed People of European Descent? Almost everyone in Africa and Asia has brown eyes. In fact, brown eyes are the most commonly occurring eye color in the world. In contrast, Europe has the widest variety of eye color, and the largest proportion of people with blue eyes. In fact, over 80 percent of the inhabitants of Estonia and Finland have blue eyes. But why are there so many blue-eyed people in Europe? The first thing to consider is that Europe was the epicenter of the blue-eye gene mutation. This might be one of the most important factors to explain the high proportion of blue eyes on the continent. Another important hypothesis is partner selection. The gist of this concept is that individuals were much more choosy in ancestral Europe than anywhere else in the world. In other words, a European guy in those days was more attracted to women with blue eyes than those with brown eyes. This type of selection might have increased the likelihood of giving birth to a child with blue eyes, and explains the difference in eye color diversity in Europe versus the rest of the world. Both hypotheses explain why the proportion of black people with blue eyes may be the smallest. 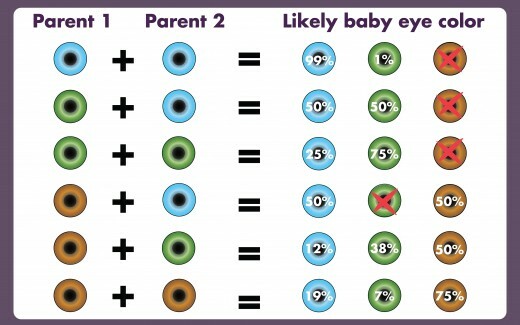 Color chart depicting the odds that your child will receive blue, green or brown eyes. Can Blue Eyes Skip a Generation? Yes. Not only can blue eyes skip a generation, they can skip multiple generations. If blue eyes are already in the family, there is no guarantee that a parent will pass them on to their child. Blue-eyed parents can give birth to brown or hazel eyed offspring, with the blue eye mutation lying dormant within the child's genetic make-up. It's hard to predict when the mutation will appear again. 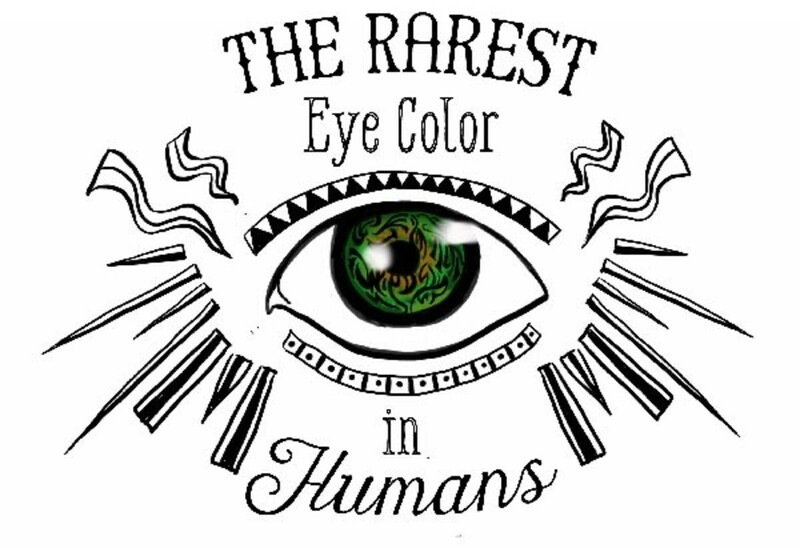 Whether you're black or not, the rarest eye color in the world is green. It is estimated that only about two percent of the world's population has green eyes. As for blue eyes, it is estimated that about eight percent of the world's population has them. While green eyes consist of a mild amount of pigmentation with hints of gold, blue eyes are formed by the absence of pigment in the iris. Why Do Some Black People Have Yellow Eyes? When people refer to yellow eyes, they are speaking of the whites of one's eyes (called the scelera), rather than the iris. Jaundice – The most common cause of yellowish eyes. Jaundice can also turn the skin yellow, and usually indicates a serious problem with the liver, gallbladder or pancreas. Hepatitis – An inflammatory condition of the liver, and can cause yellowish eyes. Biliary Duct Obstruction – Blocked bile ducts can cause the whites of one's eyes to yellow. Alcohol-Related Liver Disease – Yellowing of the eyes can be caused by damage to the liver caused by heavy drinking. Cirrhosis – Severe scarring and poor function of the liver due to damage by alcohol or viral infections. Gallstones – These can block the bile duct and cause yellowing of the eyes. Thalassemia – A blood disorder that causes the body to create an abnormal form of hemoglobin. G6PD Deficiency – A genetic condition caused by a lack of the G6PD enzyme in the blood. Acute Pancreatitis – Inflammation of the pancreas. Can Black People's Eyes Change Color? The color of a person's eyes can change color, whether they are black or not. In fact, Caucasians are more likely to inherit eyes that change color, since they generally have lighter eyes. 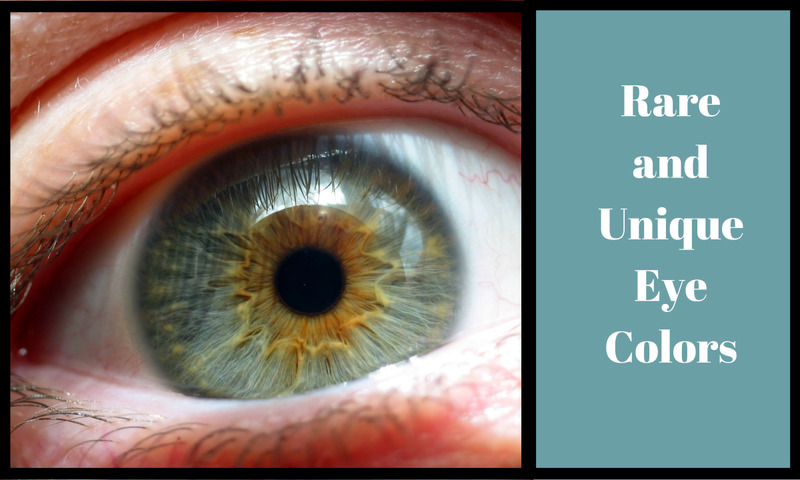 Changes in eye color are caused by the expanding and contracting of the iris, the colored part of the eye. When the iris is contracted, the pigments are compressed, making the color appear darker. When the iris is expanded, the pigments are spread apart, making the color appear lighter. 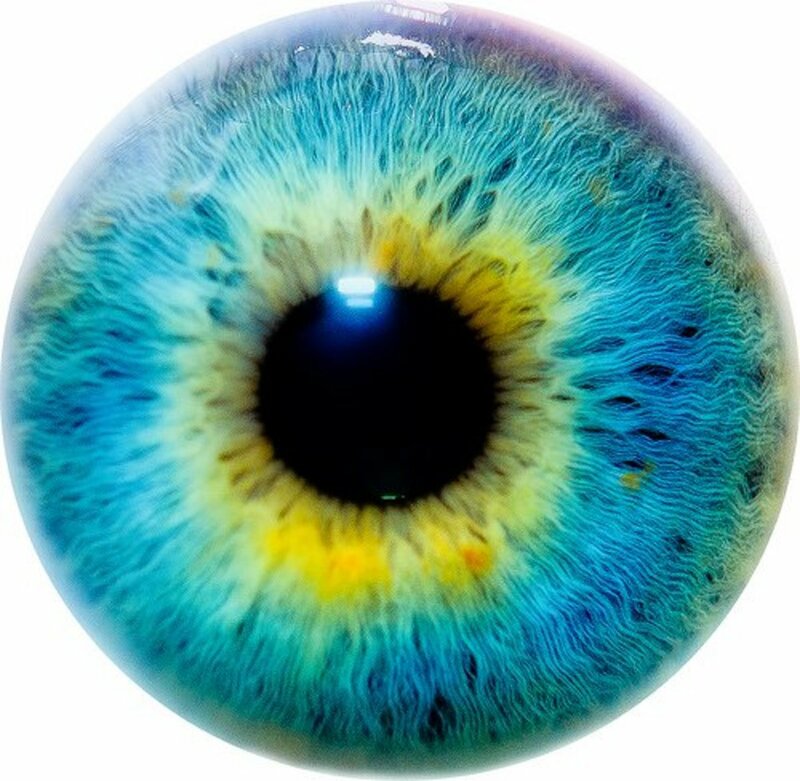 Since the color of one's eyes can change according to the size of their pupil, eyes usually change color depending on the amount of light entering the eye. Eyes can also change color according to one's emotion. 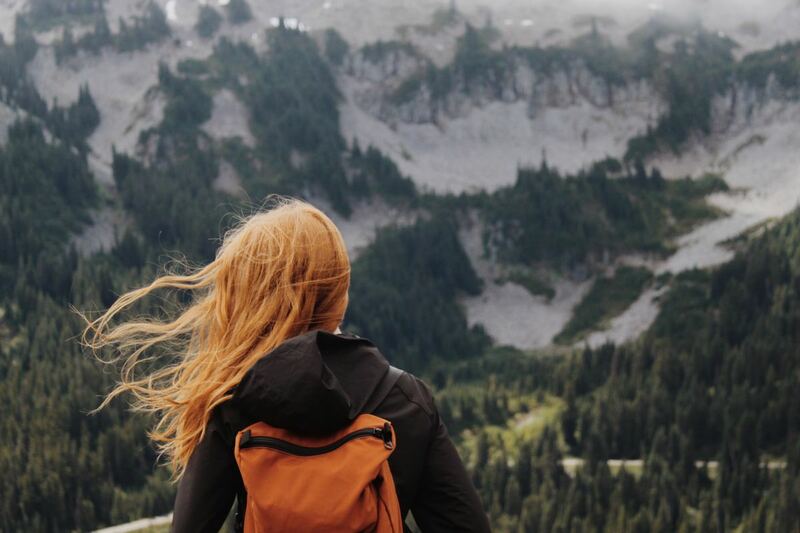 When one feels relaxed or happy, the iris expands. When one feels angry or tense, the iris contracts. Below is a list of well-known black people with blue eyes. Check them out to see just how beautiful this rare combination can be. Is there anyone in your family (father, mother and children) with blue eyes? Hi, i noticed on the chart that the brown eyed and blue eyed set of parents seem to not be able to produce a green eyed child. My brown eyed niece and her blue eyed partner produced a beautiful boy with eyes that change from teal blue to light blue to green and at times gray, at times within minutes . My nieces father has blue eyes, her mom has brown eyes. Her blue eyed partners mom had green eyes. His father may have had green or a hazel greenish eyes. His brother has greenish eyes. I guess there are not definite genetic laws that dictate who gets what eye color. Genetically there is a blend of Sicilian and Italian plus German and Irish and who knows what else running through everyones DNA. I also had a brown eyed Italian descent friend and her Turkish dark brown eyed hubby who had a beautiful lavender eyed baby boy. His eyes later turned to green then to brown. Turkish grandfather had unusual bluish eyes. Ra....people marvel over blue eyes because they are rare and beautiful. Thants not saying that other colored eyes are not beautiful because they are.....they are just not as rare except for green eye,,,,,being recessive only explains how rare the trait is, it does not make the trait bad. So sad how people marvel over blue eyes without noticing its a recessive trait. Yeah, the thing with black people and yellpw eyes is usually just due to the amount of melanin they produce, not health conditions. A lot of African born people have yellow scaleras, even me, but some are just a lot lighter and not very noticible or are only in certain parts of the scalera. Everyone is amazed that my eyes are dark blue. You really notice when I wear blue shirts. I am the only one in my family like this. Also, maybe there was also something about climate/environment of European countries that caused the mutation to occur more frequently. My whole family have blue eyes, I feel lucky. Not all black people are African American. False propoganda? And where is your proof, Aly? To my understanding, blacks with blue eyes and blond hair were the oldest of human kind. There was a tribe in south africa that research has shown that they were the first original humans and they were with blonde hair and blue eye. You are making this highly wrong hypothesis that blue eyes came originated from Europeans and some other predominantly white countries. Stop spreading this false propoganda. The truth is every single ethnic group came from the black. That has been a proven fact. At some point some of these blacks started moving to different parts of the world millions of years ago; including some of those that were in the tribe of south Africa that had the blue eyes and blonde hair. The ones with the blonde hair and blue eyes all moved to the European regions and the other blacks moved to diffrrent parts of the world. These blacks that moved from Africa after so many years, evolution started taking place. Their skin color and hair structure started to change due to weather and different climates their bodies weren't use to. After millions of years that became the result of all these different races. Even though the blacks with the blue eyes and blonde hair did have their skin color changed to white and changed their hair texture due to evolution, the two characteristics that did not changed were their blonde hair and blue eyes. What that means is whites with blond hair and blue eyes are descendants of that tribe in south Africa that had the blue eyes and blond hair. Every nation started off with their ancestors being of black people being their original. This has been proven time and time again by some of the greatest genealogists. Don't be one of those that hate to admit that blacks are the originals. And then try to convince people and alternative theory just so you can undermined that blacks are the originals. Wow. The comments here show that it's actually INTELLIGENCE that's rare- not blue eyes. Those american actors you mentioned are not fully black, so them having blue eyes can be easily explained. So I'm a genetic mutation? I am African American and I have blue eyes. You can see it when sunlight or bright lights shine in my face. I was unaware of this growing up and only found out after I became a teenager. What is the problem? Where did I get blue eyes from? My parents eyes were brown. Why are mine blue?? Any answers? Everywhere I go I meet black people with blue eyes or blonde hair, blond lashes and eyebrows blonde skin hair and blue eyes or green eyes. Black people and white people get married and or have children together and pass on these genetic traits that turn up immediately or somewhere down the line of future generations who may not know there is white blood in their DNA. None that I have know ever had a disease causing blue eyes as if something must be wrong with that person or its a mutation of some sort. Hello. In the article, you use the expression : "... there are quite a few black people with blue eyes..."
Some of the photos in your article look like genetic manipulation. Someone must have changed these eyes on purpose, like mine in 1988. Hey Jojoblueeyes, thank you for posting such an interesting comment. I am glad you enjoy reading this article. I must say, I enjoyed reading your comment. This is the first time I have come across this theory—that if only the father has blue eyes the child has a higher probability of having blue eyes than if only the mother has blue eyes. Personally, I think is it highly unlikely. While there may be little to no data today, to provide an answer to this question, let us keep it open for further discussion. Cheers! Just wanted to start off by saying thank you for this insightful article. It was very informative, well put together, easy to read and understand, and very interesting. I am a young Mexican American woman with European ancestry. My eyes are an auburn color, and my son's dad's eyes are a pale blue. 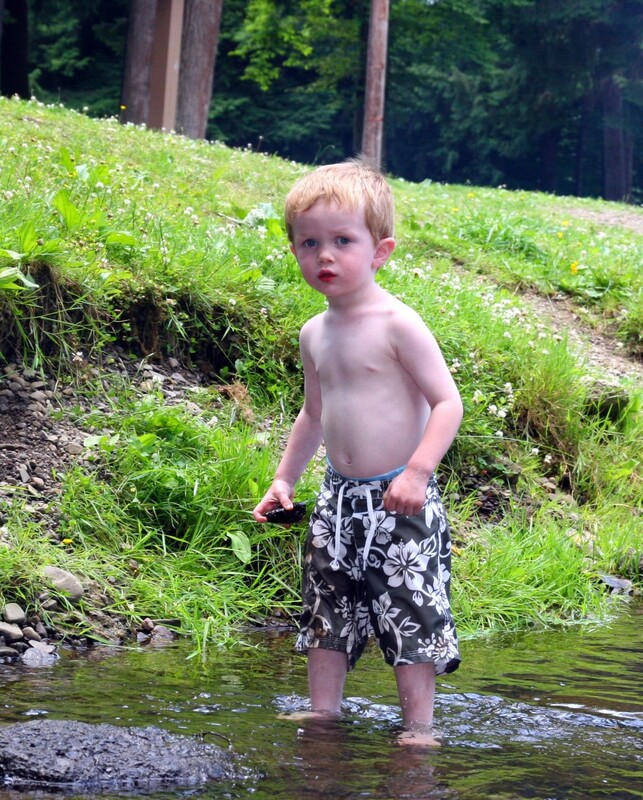 My 4 year old son has greenish blue eyes but they are more blue than green. They also have specs of my eye color in them which is pretty amazing. Most of the time they look more on the blue side but other times they appear to be more on the green side, and sometimes even look almost like a hazel. Have you ever dropped food coloring of different colors into water and watch it expand outward together, but not exactly mixing? That is how I would describe my son's eyes. Before I gave birth to my son, I always wondered what color his eyes would be because his father's eyes are blue. I was told by a few people that if the father has blue eyes, the baby had a higher chance of inheriting his eye color more so than if the mother has blue eyes. I'm not exactly sure how true this is because my husband (son's step father) has blue eyes but his son has dark brown eyes like his mother, and my brother in law also has blue eyes but his son has dark brown eyes like HIS mother. Not exactly sure if my son has blue eyes because his father has blue eyes, or because both his father and I somehow carry the blue eye gene, or if it just happened on random. Anyways, if you are reading this, what do you think? I am Native American Indian/Caucasion. My mom had dark brown hair and brown eyes. My dad had dark brown hair and hazel eyes. I have medium brown hair and figuring hazel eyes. My grandpas full brother had bright blue eyes, other than me and him everyone else has brown eyes even distant cousins. My eyes are grayish-green in normal light, emerald green in sunlight straight on and amber in sunlight from the side view, I am assuming that means hazel. My 3 year olds eyes seem to be exactly the same as mine. Her daddy has dark blue eyes. If we have another kid I am wondering what color the eyes will be genetically speaking. Coming from an almost entirely brown eyes family I am surprised mine are not brown. Blue eyes is a recessive mutation, weather it's in European or in Africa and most likely it originated in Africa. Sickle cell protects Africans against malaria it only becomes a problem when they move from the area that have no malaria. Some white people with brown eyes have sickle cell. The solution will be to infect sickle cell carrying people with malaria. Sherrie, thank you for the interesting comment. There are several reports showing that sickle cell disease can affect the eye in different ways. It can lead to the accumulation of bilirubin - a pigment the causes the yellowing of the skin and the white of the eye. Sickle cell is believed to also affect the blood vessels/blood flow in the eye (causing 'red eye') and I think this can be an important factor when looking at a potential relationship between eye color and sickle cell. In light of your discoveries with eye color how will this affect the way you look at & study sickle - cell is there a link ? The blue eye gene came from one fallen angel with blue eyes and dark skin. It's in the book of Enoch. Hi Frumpleton, the inheritance of eye color is complicated and you've just presented a good example of how a parent with brown eyes have been kids with lighter eye colors. Thanks! Hi Glenis, Cee-Jay A., thank you for stopping by and commenting. I'm a browned eyed guy. Everyone in my family has brown eyes as far as I know. Well, almost. I have a cousin that yellowish eyes. Like for real. Guy looks like a cat. Great hubbing, Edmund Custers. I once knew an African Caribbean man who had blue eyes. I assumed that their history lay in the slave trade, when some white slavers would breed children with their female slaves. My two sisters and I all have different eye color and hair color. One has hazel brown, one has blue/green and the other has green eyes. Hair colors: blonde/green eyes, dark brown hair/hazel br. eyes/ red/brownish hair and bluish green eyes. My dad had dark hair and brown eyes. My mother had light brown hair and bluish eyes. Brown eyes don't seem to always dominate.